Tienke Klein’s health remained poor after she was released from a Nazi concentration camp. After a long recovery from the trauma she’d endured, she finally reached the point of not needing to visit her doctor regularly. Then she was hit by a car while bicycling. The experience would release her from the prison camp she’d never left in many ways. Klein described her reaction in a video posted on NDEvideos.com (a website for near-death experience sharing). She was angry with God, she said. She had finally finished up with the doctor and, bam, in a moment she could have lost her life because of someone’s road rage. When she regained consciousness, a resonance of the experience remained. She felt lonely when she realized the things people around her were talking about had no substance in comparison to the profound truth she just experienced. But then she remembered the first message, that people love as much as they are able. She was expecting more of them, which led to disappointment. The second message made her realize that, whether on the street, at home, or in a prison camp, she can be free. 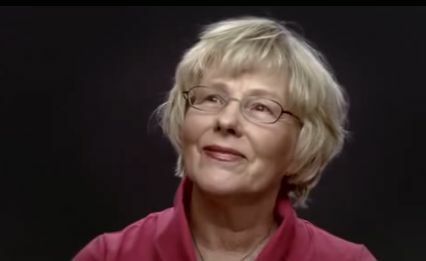 She’d seen her life in a flash during her near-death experience (NDE), a common phenomenon for people who’ve had NDEs. “I realized that ever since I came out of the prison camp, I was still trying to get out of the prison camp,” she said. She had become fixated with overcoming limitations. One of the most influential NDE researchers, Elisabeth Kübler-Ross, was motivated to study death, dying, and NDEs after a trip to a concentration camp in 1945. She visited Majdanek concentration camp on the outskirts of Lublin, Poland, after the liberation and spoke to a young woman who’d determined she would forgive Hitler before she left the camp. She didn’t want to spread anger and hate by talking about the terrible things she’d seen. This woman told Kübler-Ross that we all have a little of the evil that created those atrocities within us. She said the important thing is to get rid of the “Hitler” inside of us. The meaning of these words set in during Kübler-Ross’s own brush with death. On her way back to her home in Switzerland, she was very ill and passed out in a forest, only to be found three days later with typhoid. She realized she’d been so hungry without food for that long, she would have stolen food from a child if she’d had the chance. She saw the evil within herself. She realized that something profound happens near death. Her research brought her to hear many more amazing stories of profound NDEs. Many NDEers return with emotional and spiritual problems resolved and a greater sense of purpose. For many, NDEs confirm the existence of an afterlife and the compassionate nature of that other realm. Concentration camp survivor and famed psychiatrist Viktor Frankl is much-cited in papers on NDEs for his focus on the human search for meaning—and the realization that love is an integral part of that meaning. Frankl escaped a trip to a gas chamber by slipping into a different queue. “The gas chambers of Auschwitz were the ultimate consequence of the theory that man is nothing but the product of heredity and environment,” he said. Klein noted that all the ideals she enlightened to during her NDE sometimes fade in her daily life. But, she reminds herself of how she learned to be free and to accept others for however much love they are able to give—and in these moments of clarity, she pops her head back up out of the fog to bask in the light. When people report having profound out-of-body experiences during close brushes with death, skeptics often attribute it to physiological and psychological factors.